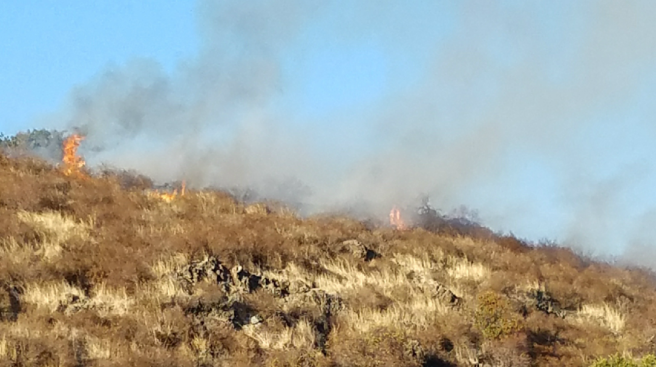 Firefighters responded to a two-acre brush Fire at the Santa Teresa Golf Club in San Jose since at approximately 5 p.m. on Saturday. The Santa Clara Sheriff's office took a man into custody after being seen starting a small brush fire. Golf course workers told officers that the man was acting erratically and employees needed help getting him off the property. By the time officers arrived, the man started running around but was eventually taken into custody. Officials are trying to determine more about the circumstances around the suspect's behavior. Fire officials remain on scene.